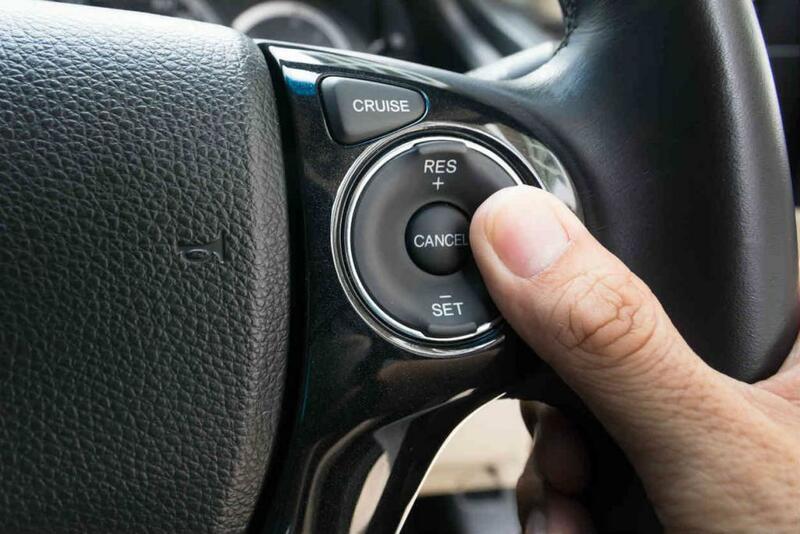 While most traffic safety experts will admit that cruise control is a useful tool, it is one that can come with a variety of dangers. You can counteract these dangers by understanding precisely when to use cruise control, when to not, and how it could affect liability in a potential personal injury case. Though you might think of cruise control as a somewhat modern function, its history dates all the way back to 1900. The historic Wilson-Pilcher car manufacturer added it to their vehicles and heavily advertised their ability to maintain speed no matter what. To this day, drivers use cruise control to relax a bit behind the wheel and not have to hit the gas or brakes to stay at the same pace. As we mentioned above, though, this useful feature can be unsafe when drivers do not use it correctly. Cruise control is a wonderful tool, but you may not want to use it in the following conditions. Wet Roads – The last thing you want to do in inclement weather is hit your brakes hard. What might happen when you do is you not being able to stop, and instead skidding into the car in front of you. Low Light – Whether it is nighttime or the weather is poor, low light conditions can lead to hazards sneaking up on you. You need every bit of your potential reaction time to avoid them. Heavy Traffic – Lastly, traffic that is continually starting and stopping is not an appropriate setting for cruise control, as you’ll need to use your brakes frequently. The times that you are free to use cruise control are the opposites of what we explained in the previous paragraph. It is when conditions are perfect or close to it. What that means is dry roads, high visibility, and low traffic. The personal injury legal framework relies heavily on a concept called liability. In short, legal experts assign it to each party after a crash, and those percentages inform you of what your options are going forward. Unfortunately, the misuse of cruise control can lead to situations in which you take the majority of the blame. The most common example is you rear-ending the driver in front of you because your reaction time was slower than usual. In those cases, the person in the back almost always takes on the vast majority of the liability. We hope that you understand all of the relevant details that surround cruise control. While this knowledge will help you stay safer on the road, driving always comes with a variety of risks. If you are involved in a car accident due to the negligence of another driver, ensure your legal rights are protected by speaking with an experienced St. Louis car accident attorney as soon as possible. Give us a call 24/7 at (314) 361-4242.